Wabi-sabi is the Japanese art of finding beauty in imperfection and profundity in nature, accepting the natural cycle of growth and decay. It reflects exactly the perception of what is beauty for me: the imperfection of nature or the asymmetry of anything handmade. Wabi-sabi celebrates cracks and crevices and all the other marks that time, weather and loving use leave behind. The concept is composed of the words Wabi and Sabi. Wabi connotes rustic simplicity, quietness and anomalies which add uniqueness and elegance to the object. Sabi means beauty or serenity that comes with age, when the life of the object and its impermanence are evidenced in its patina and wear, or in any visible repairs. 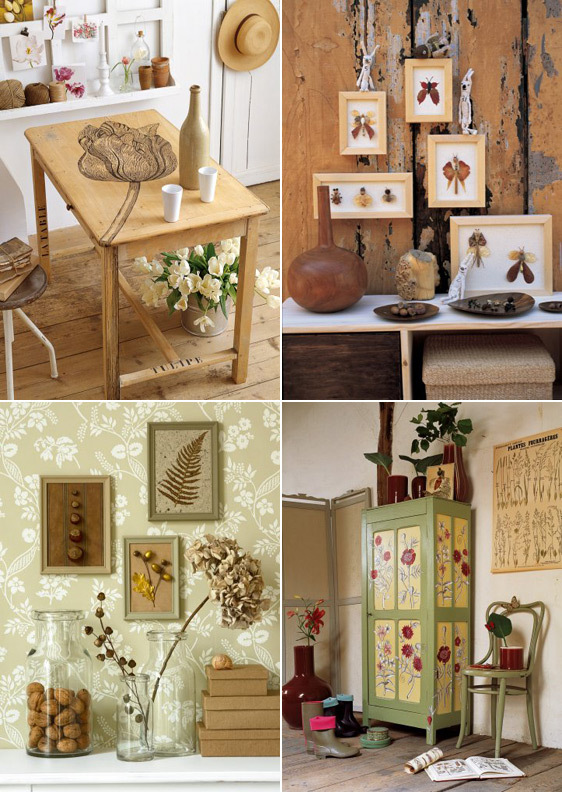 My entire home is filled with wabi-sabi elements like weathered driftwood and sea shells, old things reflecting signs of the times and even handmade creations with a touch of imperfection. For me, this concept is the real meaning of beauty and style. Manon Gignoux treasures upcycled fabrics and reinvents them as textile figures, clothes and accessories, raw and fantastic. Simply wonderful! 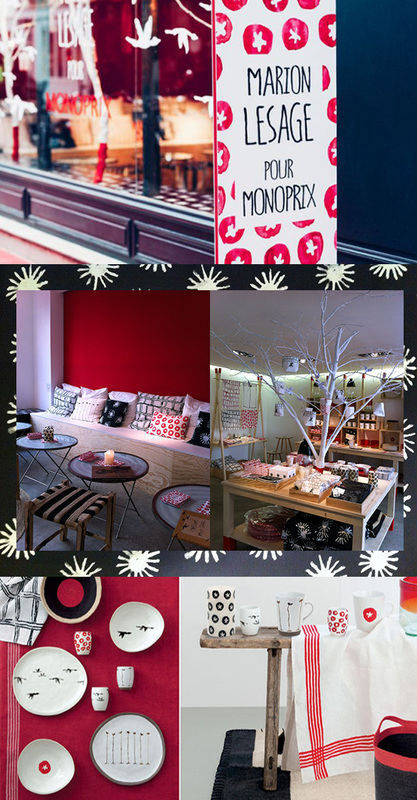 If you are in Paris this weekend, don’t miss the pop-up store of Monoprix in the Marais with unique creations of the French artist Marion Lesage which are actually on sale in its stores. 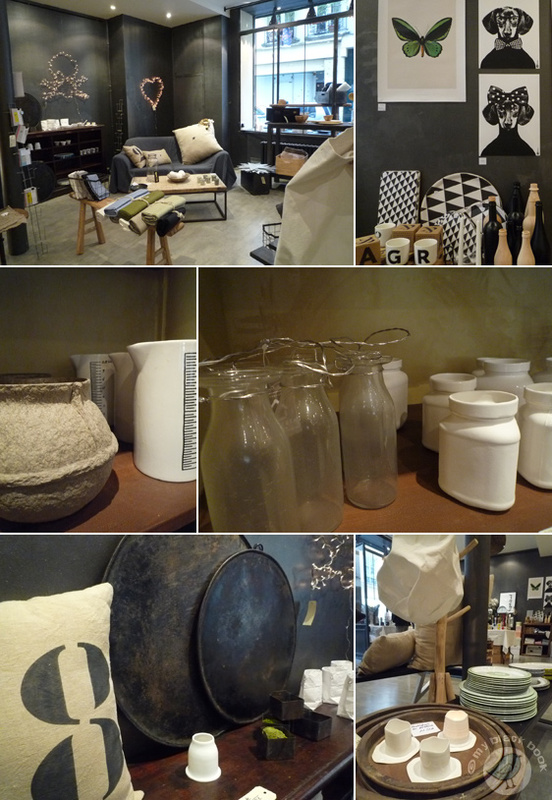 Until 12th April 2015 this ephemeral shop shows the ethnically inspired creations of Marion Lesage which consists of tableware, napkins, cushions, lanterns, notebooks etc. and also invites visitors for printing workshops. You can also admire an exhibition of the artist in the basement and taste delicious tarts of the famous Rose Bakery in a little corner café. Fall is the perfect time to get creative with cooler temperatures and the coming holidays that invite us to get cozy at home with a lovely craft project. Let’s celebrate the changing seasons with a visit to the inspiring fair Creations & Savoir-Faire in collaboration with the magazine Marie Claire Idées. Get enchanted by fairy tales at the 2013 edition. Traditional creations around twine and needles, the universe of paper and scrapbooking, creative home decorations and original inspirations for your sweet tooth and so much more will inspire your creative mind… I am giving away two free tickets to the show. All you have to do is leaving a comment here about your favorite craft project. Deadline will be on Thursday, November 7th at midnight. The winner will be contacted by email. Good luck ! The lovely Café Pinson in the Northern Marais serves organic and gluten-free, primarily vegan cuisine and follows the popular healthy food trend with delicious and colourful meals. Dedicated to using local and seasonal produce, every day sees a fresh soup and hot main dish on the menu, plus a variety of salads and plenty of sweet and savoury baked goods, everything 100% homemade. A perfect spot for a lazy Sunday brunch. 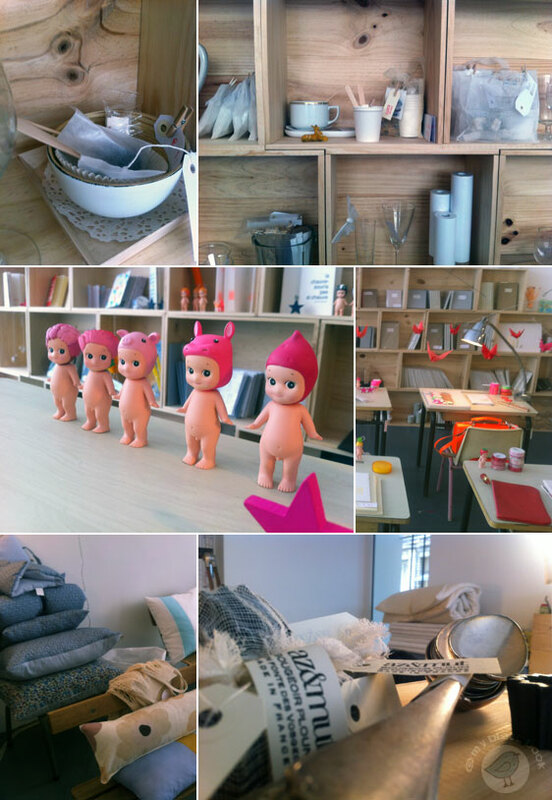 I recently discovered the wonderful epicerie Causses in Paris. It’s a grocery store with lots of fine food and local & seasonal fruit and veg from independant producers. 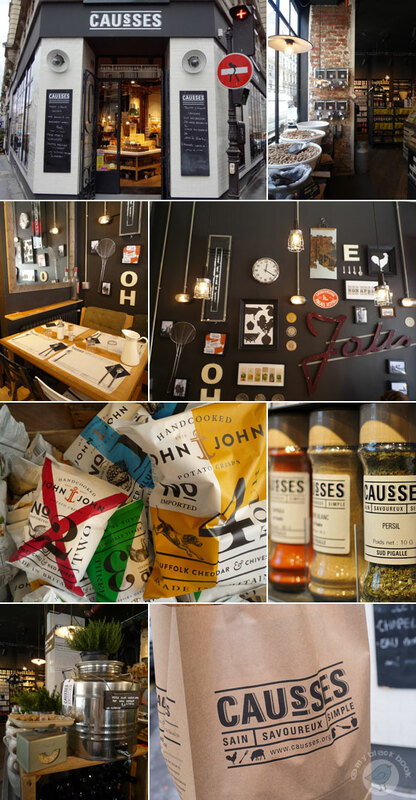 Newt door is the tiny lunch canteen La Fabrique decorated with retro odds on a matt black painted wall, white metro tiles and blackboards in a kind of industrial style featuring homemade soups, salads and sandwichs also themed on simple & good quality food. Must lunch spot. Happy Friday to you ! 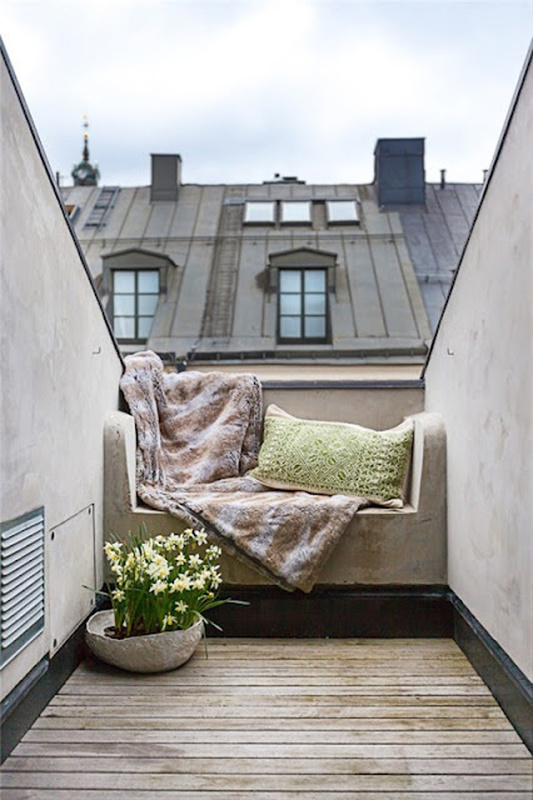 Wouldn’t it be nice to relax on this Parisian rooftop ?